Learning to throw the javelin might seem like an uphill struggle to some. For Vitezslav Vesely, however, throwing the javelin was downhill all the way – at least at the start. Vesely began attending a local athletic school in his native Czech Republic when he was 10, and mainly competed in running events. Four years later, when he asked to try the javelin, the only available space was on a hill, where he had to throw downward. Building on that unusual beginning, he eventually won his initial javelin competition one year later, throwing 36 meters – not bad when you consider that his throwing shoes didn’t have spikes. He continued running and throwing for the next two years, and won a national junior cross-country title at age 15. 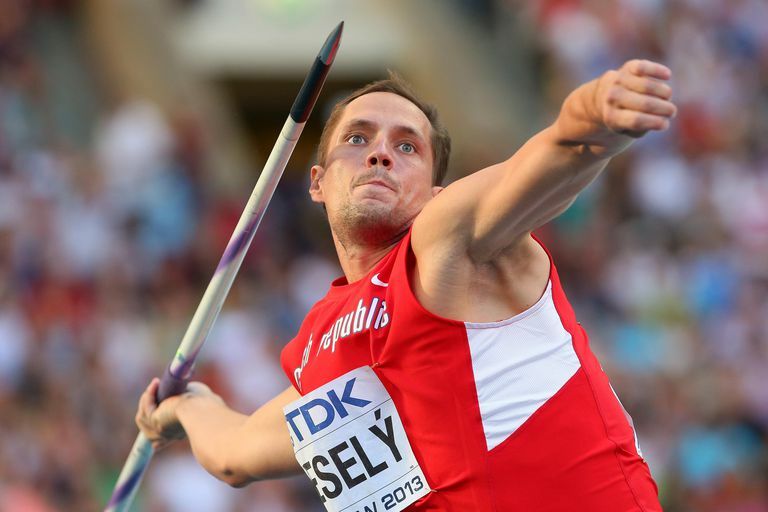 Nevertheless, he decided to focus on the javelin, moving to the city of Zlin at age 16 so he could train with throwing coach Jaroslav Halva, who had once trained world record-holder Jan Zelezny. Despite a ninth-place finish at the 2002 World Junior Championships, Vesely almost gave up his athletics career after suffering a series of injuries. The turning point came in 2006 when he was recommended to Zelezny, who was transitioning from active athlete to coach. While working under the three-time Olympic champion’s eye, Vesely’s personal best inched toward 80 meters. He eventually broke the 80-meter mark on his final qualification throw at the 2008 Olympics, a toss of 81.20 meters (266 feet, 5 inches), which was the fifth-best among all qualifiers. At the final, he fouled twice and then managed a throw of 76.76/251-10, ending the competition in 12th place. Vesely didn’t make the 2009 World Championship final, but still made some progress behind the scenes. He demonstrated that improvement by raising his personal best to 86.45/283-7 at a meet in Olomouc in the Czech Republic in 2010. Only five men had longer throws that year. In 2011 he performed well at the World Championships in Daegu, moving into third place in the final with a third-round throw of 84.11/275-11. He dropped to the fourth spot in the next round and stayed there, to narrowly miss a medal. In 2012 Vesely earned his first major medal by winning the European championship. He also raised his personal best to 88.11/289-1 while winning a Diamond League meet in Oslo. That made him the world leader entering the London Olympics. Vesely then improved his PR to 88.34/289-9 to lead all Olympic qualifiers and confirm him as a top medal favorite. 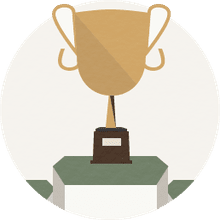 But the podium again proved elusive. Vesely sat in seventh place in the final before unleashing his best throw, 83.34/273-5, in round six, but he had to settle for another fourth-place finish. As a consolation prize, he went on to earn the 2012 overall Diamond League title. Unlike some previous international championships, Vesely saved his best for the final at the 2013 World Championships in Moscow. After qualifying fifth overall at 81.51/267-5, Vesely’s first throw of the final traveled 87.17/285-11, putting him solidly in the lead. He couldn’t improve on the throw, but he didn’t have to, as it stood up to give Vesely the gold medal. He also won three Diamond League meets and repeated as the season champion in 2013. Tyson Gay went from sprint champ to banned athlete before returning.